PUNK HAVEN Former B-Ward members perform at Atlas Coffee with their new band RIITA. It's a little after 6pm when an assemblage of people in boots, denim and leather congregate outside a small building on Orchard Street in downtown Santa Rosa. The flier said doors at 7pm, but the building opens early for the eager crowd. These days, downtown Santa Rosa resembles more of a travel destination for Bay Area techies on a weekend getaway than a place for local youth longing for an escape from the suffocation of dead-end, suburban cul-de-sacs and business parks. The cover charge is $7, but if you don't have that, the door will take $5. If you don't have anything at all, they'll still grant admission. No one is turned away. A staging area for bands is set up in a corner of the room, parallel to an illuminated cross hanging on the wall. This is a house of worship; however, the hymns will sound slightly different tonight. Punk shows aren't typically held inside a church, but finding any venue willing to accommodate the subculture is slim pickings in post-wildfire Santa Rosa. The punk scene here is mostly sour grapes for the dwindling population of "true heads" left. Ian O'Connor is a true head. He's the man behind Shock City, USA events (formerly Pizza Punx) for the past five years. 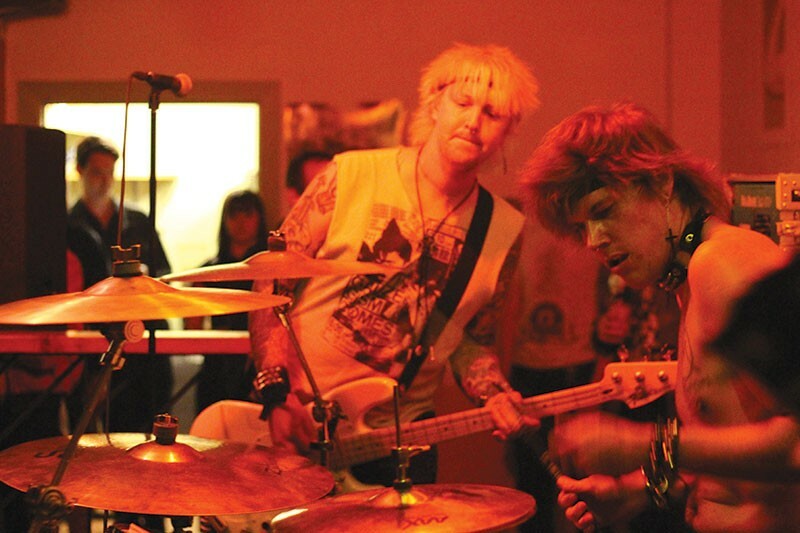 A Shock City event may be the only live punk show in Santa Rosa for a month, sometimes longer. "Pizza Punx started out as a joke on a flier," O'Connor says. "We'd get five pizzas from Little Caesars and two 24-packs of PBR for the bands. Now it's hummus and craft beer." A Santa Rosa native, O'Connor witnessed the decline of what was once a promising environment for artists to live and express their art. "The people who used to make the scene left because of the expensive rent," he says. "We need new people. The older heads and key players aren't around anymore. Housing has a major effect on the scene." Among the devastating fallout from the 2017 October wildfires is the damage done to the presence of a sustainable and thriving music scene. The wildfires' impact on the city's housing stock amplified what was already a housing crisis. "In the early days it was smaller, DIY shows," O'Connor says. "In the first year of Pizza Punx, we had 100 percent house shows." The existence of house-show hot-spots in the area, like Hendley House and Funkden, are now threatened by frustrated neighbors and opportunistic landlords looking to cash in, leaving the Orchard House as one of the only house-show options remaining in the city. O'Connor has been forced to book shows at a tattoo parlor, a vintage clothing store and a tire shop owned by a friend's dad. Last April, O'Connor announced Shock City, USA will host its final show this fall. It's a major blow to a community attempting to establish an identity amid sweeping changes in a city forced to rebuild. "The community that we worked so hard to build has been scattered," says Santa Rosa native and Acrylics vocalist Mark Nystrom. "Some of the folks who participate in attending shows don't have homes and had to relocate." Nystrom started in the music scene four years ago. He now feels like the scene has to "start all over" following the wildfires. "Just booking a show costs a promoter $200 to $300 to get a space, and that's a steal around here," he says. "We need to make spaces affordable and open to everyone; that means including more queer, more female and more people of color."